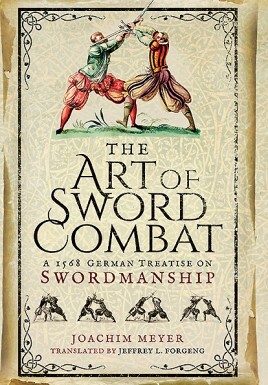 Following the success of Jeffrey L. Forgeng’s translation of Joachim Meyer’s The Art of Sword Combat the author was alerted to an earlier recension of the work which was discovered in Lund University Library in Sweden. The manuscript, produced in Strassburg around 1568, is illustrated with thirty watercolor images and seven ink diagrams. The text covers combat with the long sword (hand-and-a-half sword), dusack (a one-handed practice weapon comparable to a saber), and rapier. The manuscript’s theoretical discussion of guards is one of the most critical passages to understanding this key feature of the historical practice, not just in relation to Meyer but in relation to the medieval combat systems in general. The manuscript offers an extensive repertoire of training drills for both the dusack and the rapier, a feature largely lacking in treatises of the period as a whole but critical to modern reconstructions of the practice. The translation also includes a biography of Meyer, much of which has only recently come to light, as well as technical terminology, and other essential information for understanding and contextualizing the work. Joachim Meyer was born in Basel in Switzerland in approximately 1537, possibly the son of Jacob Meyer, a stationer, and Anna Freund. He became a burgher of Strasbourg by marrying a widow in 1560, most likely during his apprenticeship as a cutler. He made a living as both a cutler and a professional fencer until 1570, in which year he published his Art of Combat – the book that made him famous. The making of this book, however, left him deeply indebted, and the search for potential buyers led him to leave Strasbourg and work as a Master-of-Arms at the court of the Duke of Schwerin. Unfortunately, he died shortly after his arrival, on 24 February 1571, at the age of just thirty-four, leaving the burden of his debt to his widow and brother-in-law. Jeffrey L Forgeng is curator of the Worcester Art Museum’s Higgins Collection, the second largest collection of arms and armor in the Americas, and also teaches as Adjunct Professor of History at Worcester Polytechnic Institute. His academic work specializes in European treatises on the use of arms and armor. 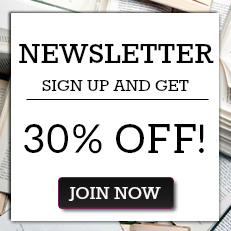 "This is the most in-depth account of sword technique we've seen, and military history buffs will find an awful lot to enjoy here. If you're interested in learning more about what many would call a lost art, then this translated work is an excellent place to start"
"If you’re interested in how people actually fought in the Early Modern Age, or just want to be able to visualize the duel between Romeo and Tybalt, The Art of Sword Combat is a book that will tell you everything you need to know."